See all the latest News on our Facebook Page! THAT FAMOUS PRESTON NIGHT RODEO! ​Pre-events start at 8:15 p.m. and the Rodeo starts at 8:30 p.m. See Rodeo Events. Our parade is each night, Thursday, Friday and Saturday at 6:30p.m. Line up is at the 2nd North and 1st West. Thursday, Friday and Saturday's parade are the traditional "bands and floats" parades. 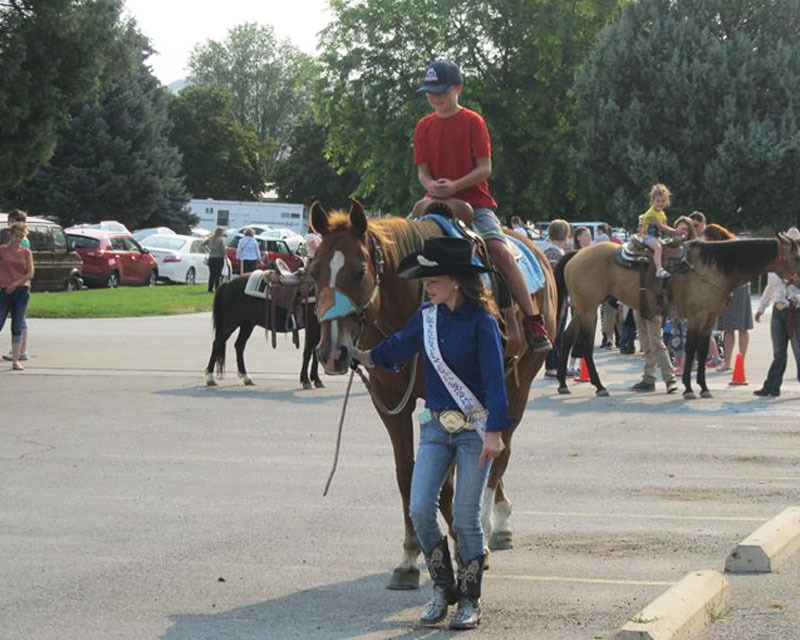 We encourage float entries, horses, and horse drawn outfits. Themes: Thursday is “Tough Enough to Wear Pink Night”, Friday is “Patriot Night” and Saturday is “Celebrate Cowboy Night”. See our Parade Flyer for map and details. Following the Rodeo Days Parade. 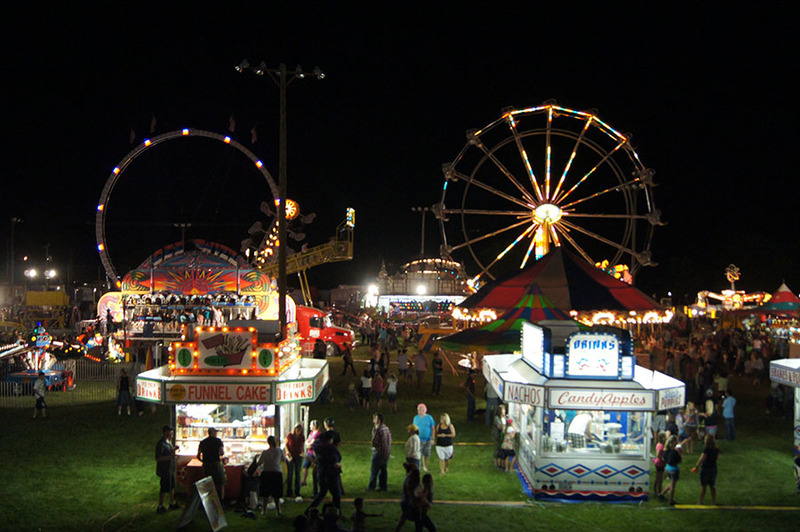 A Ferris wheel, merry-go-round, and more!! Known as one of the best carnivals around. Ride your favorite rides and munch on pronto pups and cotton candy. Special family pricing on Thursday! In the park east of the Rodeo grounds. 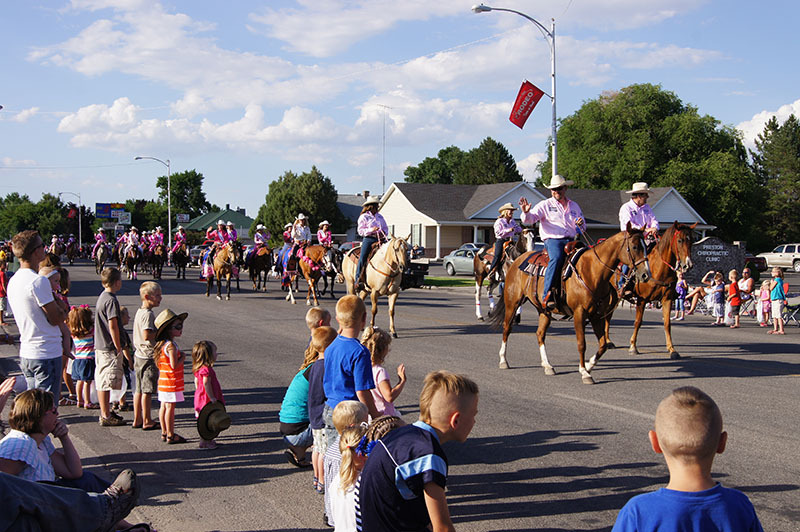 Along with our three nights of rodeo, we have parades and a great downtown sidewalk sale. The sidewalk sale brings vendors from our local vicinity and from surrounding states. 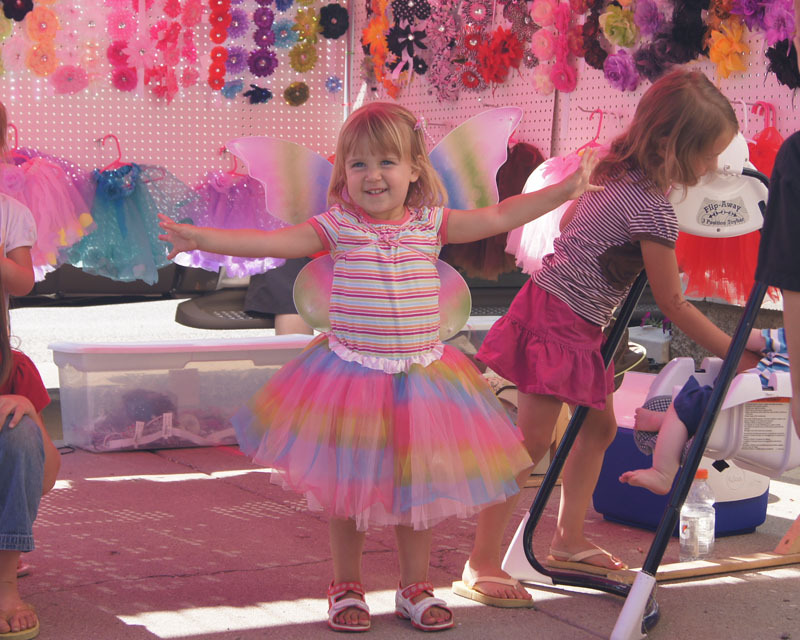 Everything from jewelry to camping gear to clothes, gifts, signs, decorating items...you name it, you can find it, along with all kinds of great food booths. Delicious foods, drinks, sweets can be found as you stroll down Preston's main street and Oneida street. For those interested in renting booth space please download our Sidewalk Sale Vendor Application. Space is still available! Fill it out and mail it to the address on the form as soon as possible. ​11 a.m. to 5:30 p.m. on main street of Preston and in the City Park. Free for your lil' ones! Sponsored by and held at the Franklin County Medical Center. Watermelon Slices, Band-aid Bunkhouse, Face “tattoos”, Popcorn & Popsicles, Train Rides, Queen’s Saloon Ring Toss, The Old Fishin’ Hole, Clover Leaf Barrel Racin’, Horseshoe Hide Out, Peanut Toss Corral, Bow & Arrow Shoot, Cracker Barrel Can Throw, Gold Rush Gulch, Shape Up Stampede, Steer Jerkin’, Dunk a Doc and more. Sweets Saloon, General Store and more. Located in the middle of town. Friday & Saturday 7 a.m. to 1 p.m.
​Take part in the tradition! Prizes and payouts for top third in each flight. Preston Golf and Country Club. Call the Pro Shop at (208) 852-2408 to register. ​Enjoy excellent breakfast vittles prepared by the Preston 1st Ward Young Men and Young Women.